The government has confirmed ongoing funding for the High Value Manufacturing Catapult network of industry-led research centres, including the Nuclear AMRC. The HVM Catapult consists of seven specialised R&D centres, and aims to improve the UK’s performance in translating the strengths of its world leading research base into the goods and processes which equip the UK’s high value manufacturers for success in challenging global markets. The Nuclear AMRC will receive around £46 million funding over the next five years. The funding will allow the centre to expand its services to UK manufacturers, and develop new capabilities at its research factory on the Advanced Manufacturing Park in Rotherham, as well as its specialist R&D facilities in Birkenhead and Derby. Its sister centre at the University of Sheffield, the original Advanced Manufacturing Research Centre (AMRC), will receive around £81 million funding over five years. Since its launch in 2001, the AMRC has expanded to include three research facilities at the Advanced Manufacturing Park and Sheffield Business Park, and is now establishing new regional facilities in the North West and Wales. Professor Keith Ridgway, executive dean for the two centres, said: “This is a tremendous vote of confidence in the work we do with our industrial partners, and another significant boost for the Sheffield City Region and its emerging Global Innovation Corridor. 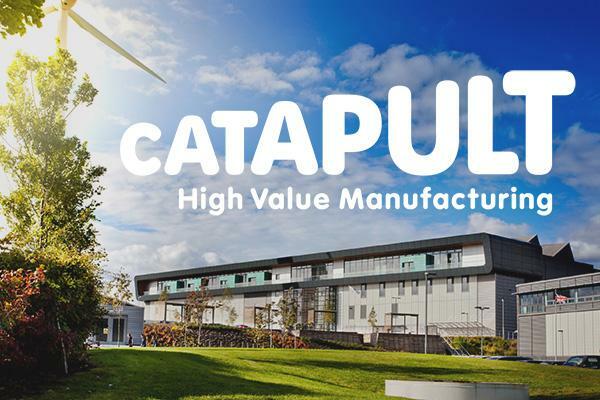 “As members of the High Value Manufacturing Catapult, we are part of a larger network of research and innovation assets that are helping to solve the conundrum of the UK’s productivity challenge. Our ability to draw on the research excellence of the University of Sheffield also gives us an additional edge. It means we are able to connect fundamental and basic science to translational research that makes a bigger impact on the factory floor. Under the Catapult funding model, each centre will match its core funding with commercial investment from companies which work with the centres to develop innovative technologies and improve their competitiveness, and from externally-funded collaborative R&D projects. The funding is part of a £780 million investment across the Catapult network of technology and innovation centres. The funding was announced by the Chancellor of the Exchequer, Philip Hammond, during a visit to another of the centres within the HVM Catapult. The £780 million investment also includes funding for Catapults focusing on technology areas including Energy Systems, Offshore Renewable Energy, Cell & Gene Therapy, Satellite Applications, and Compound Semiconductors.